It is often startling to discover how relevant the Book of Psalms is to our contemporary world today! It appears that this Hebrew traveler, on one of his annual pilgrimages to Jerusalem, comes from a tough neighborhood, characterized by deceitful tongues. This is an “imprecatory psalm”: one crying out for vengeance. Where does he live? Where is he coming from? That is, a son of Japheth, a Gentile. Who was Kedar? 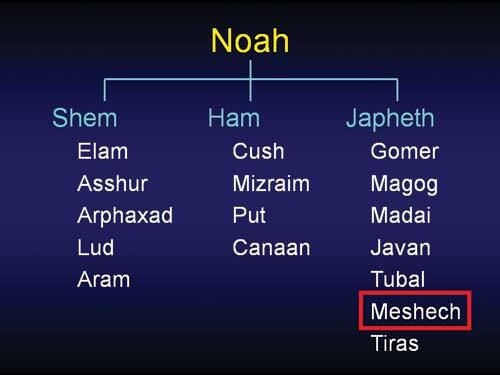 He was a son of Abraham, but not Jewish. This will require a closer look at his background (and a glimpse through the fog that clouds the perspectives of the news media). 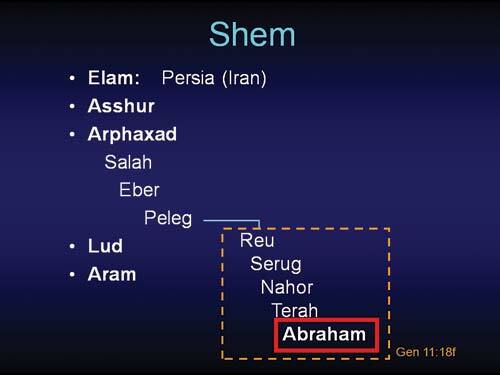 Abraham was a descendant of Shem (below): Kedar was a descendant of Ishmael, the son of Hagar, the Egyptian. Arabian tribes were descended from the concubine Keturah. 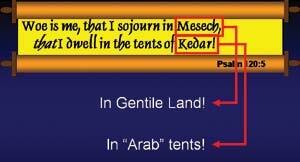 However, it is also important to realize that Esau, Jacob’s brother, in a deliberate effort to offend his parents, took Ishmaelite wives, including Nebajoth’s sister. 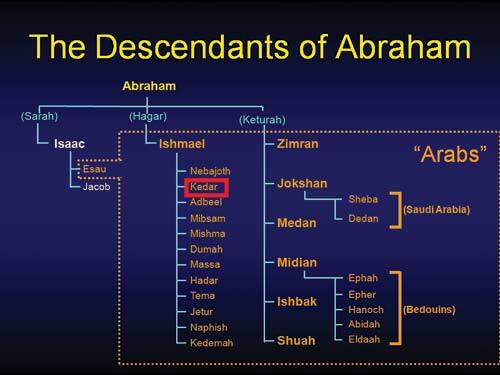 His descendants, Ishmael’s, and Keturah’s all intermarried; no tribal distinctions were required to be maintained. So the term “Arab,” as is commonly used in the news media, is somewhat indistinct and very broadly employed. Doesn’t that characterize the current tensions in the Middle East? The enemies of Israel are resolute in their denial of Israel’s right to even exist. Nine times it was the “Palestinians” that walked away from the negotiating table, insisting on an “all or nothing” resolution to the proposals on the table. We know from Zechariah’s resonant prophecy2 that the entire world is destined to go to war over the issue of Jerusalem. Clearly, there will be no peace until the Prince of Peace comes to enforce it. But, as you examine Psalm 120 and attempt to apply the exegetical principles of “higher criticism,” this certainly could not have been written back then; it must have been added in more recent times! …Or, are the fingerprints of the Holy Spirit clearly evident in this psalm? It’s your call. The Book of Psalms is a treasure trove of prophetic discoveries and insights. 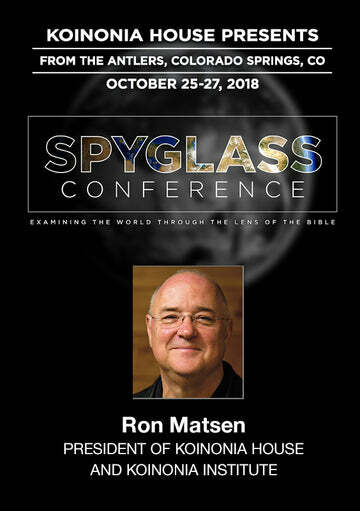 We will be finishing this study through K-Rations and the Berean Online Fellowship at the end of this month. We hope to have the audio versions available in June, with the DVD to follow later this summer. For an update on the tensions between Israel and Iran, review Avi Lipkin’s latest briefing, The Coming Conflict, available on audioCD and DVD (see the order form for details).